Comments: What Elvis book would be complete without Richard Nixon? He makes an appearance in this newer testament, as Caesar. The cast of characters also includes Gladys Presley as The Blessed Virgin, Frank Sinatra as King Herod and Sid Vicious as The Man Possessed With Devils. Instead of loaves and fishes, Elvis feeds the multitude with peanut butter 'n' 'nana sandwiches. Lazarus isn't raised from the dead; Gladys is. Instead of walking on water, Elvis and Jesus go surfin'. And golfing. And there's something on almost every page guaranteed to offend someone; Jerry Fallwell and Pat Robertson appear as The Pharisees, Ronald Reagan as Blind Bartimaeus, Andy Griffith as The Centurion and J. Edgar Hoover as Aunt Bea. Does Jesus actually bless homosexuality in Matthew 19? Is Michael Jordan the Antichrist? Ever wonder what God's first name is? 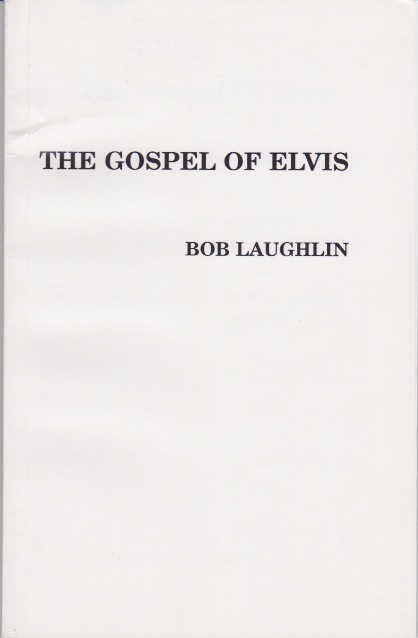 Then The Gospel of Elvis is for you.